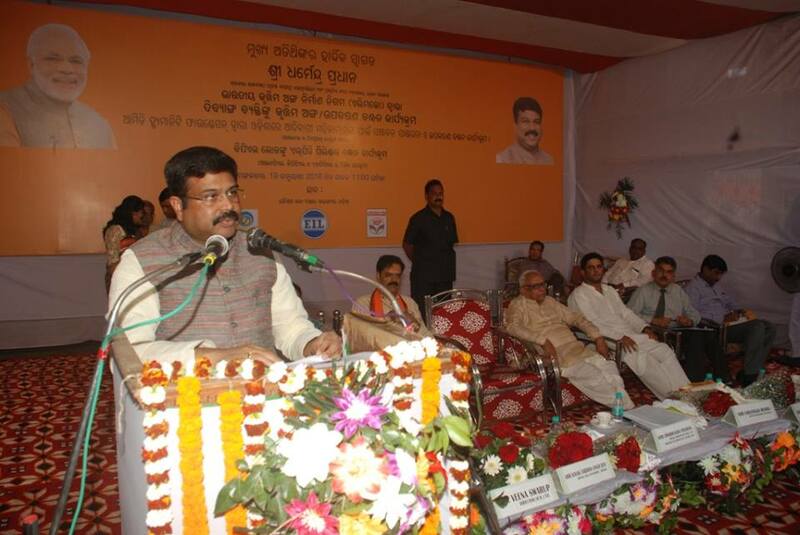 Union Petroleum and Natural Gas Minister Dharmendra Pradhan inaugurated a programme for distribution of LPG Gas to BPL families. He assured steps for providing LPG connections to 60 per cent of households in Balangir district in coming three years. Currently, only 19 per cent of the district’s households are using LPG as fuel for cooking. Minister Pradhan distributed hearing machines to many people and tricycles to 180 physically-challenged persons here. Balangir MP Kalikesh Narayn Singh Deo requested the Minister Pradhan to arrange for a CT scan machine for the Balangir District Headquarters Hospital through OMC.BJP leader and Patnagarh MLA KV Singh Deo said expressed his readiness to work together for development of Balangir. Union Petroleum Minister Dharmendra Pradhan reviewed the pending projects of Indian Railways, National Highways and Oil Marketing Companies in the district of Balangir. Mr. Pradhan has also assured the people that he would take up the demand to set up of wagon factory at Kantabanji with the Ministry of Railways soon. He also launched Sambadik Kalyan Trust of Journalists Association Balangir and attended several programs in the district, including the Centenary Celebrations of Prithviraj High School in Balangir.